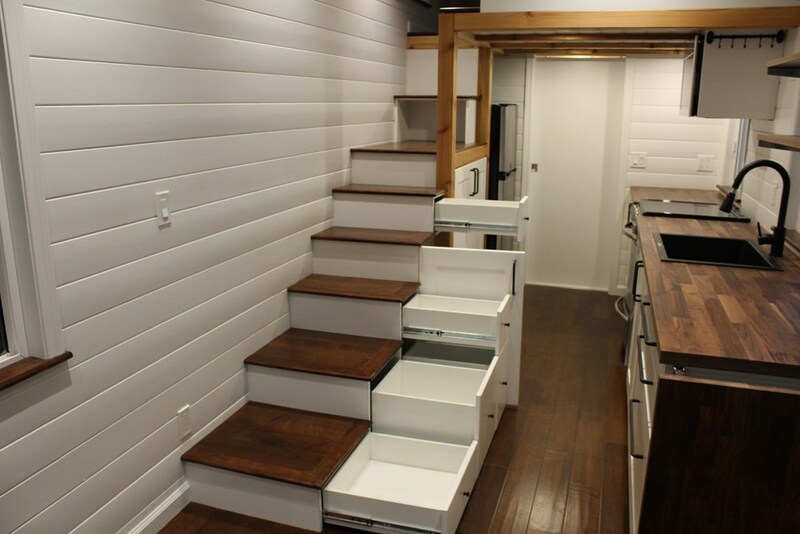 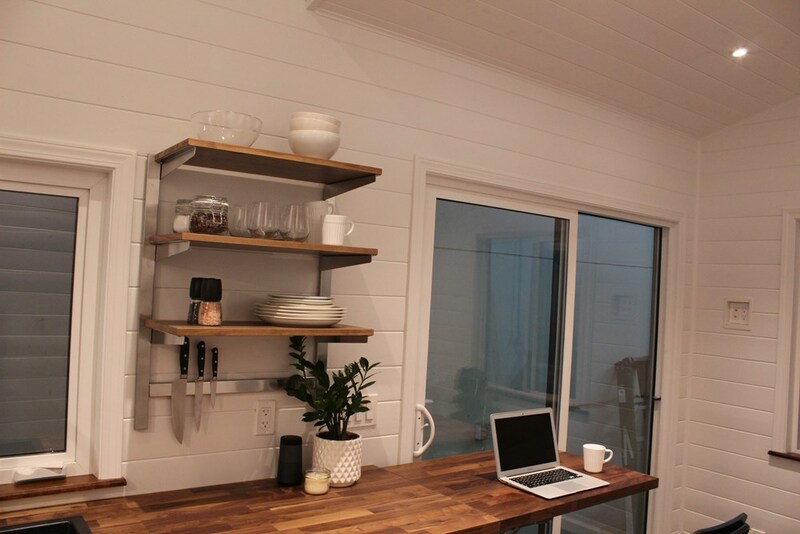 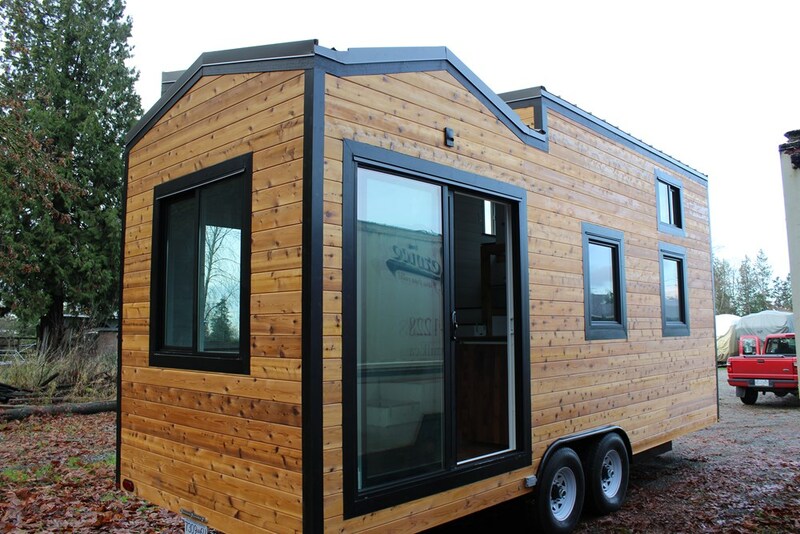 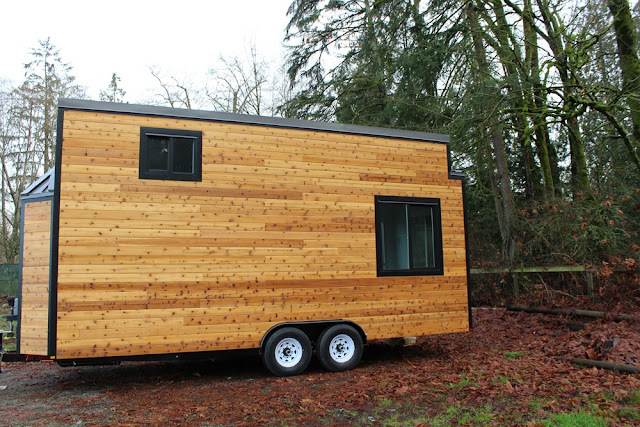 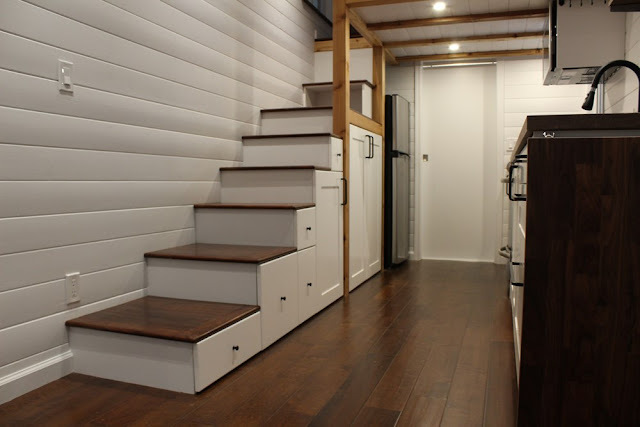 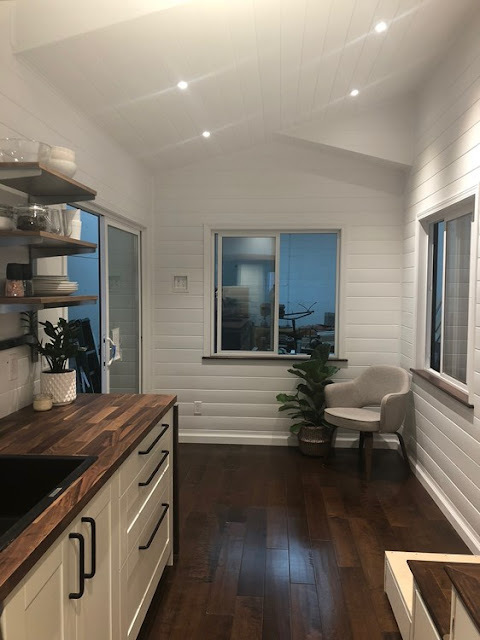 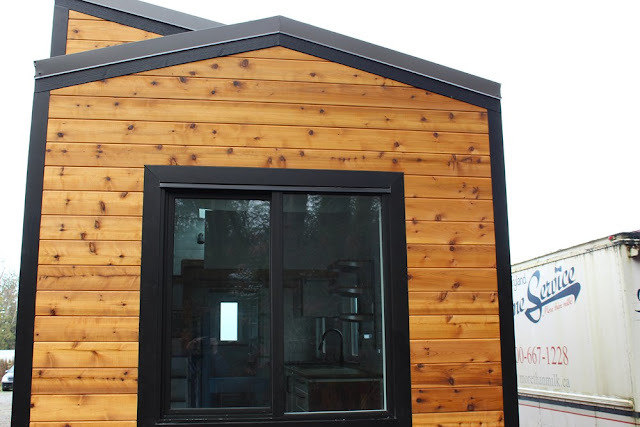 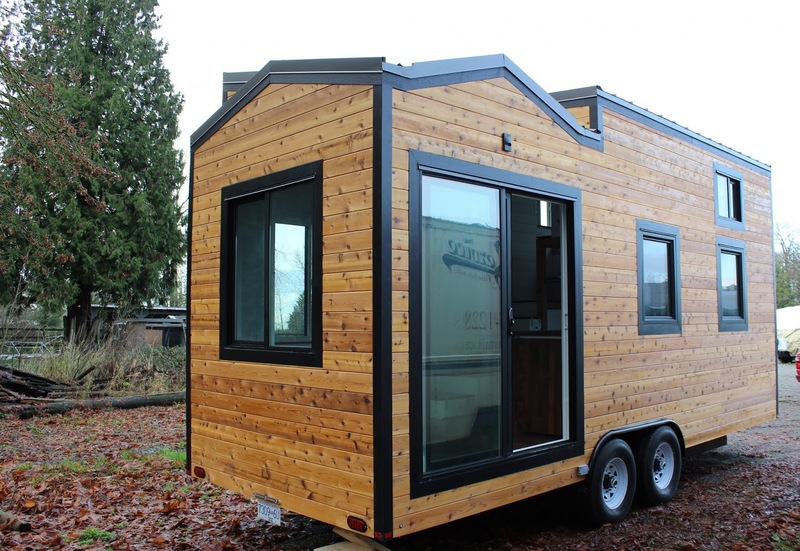 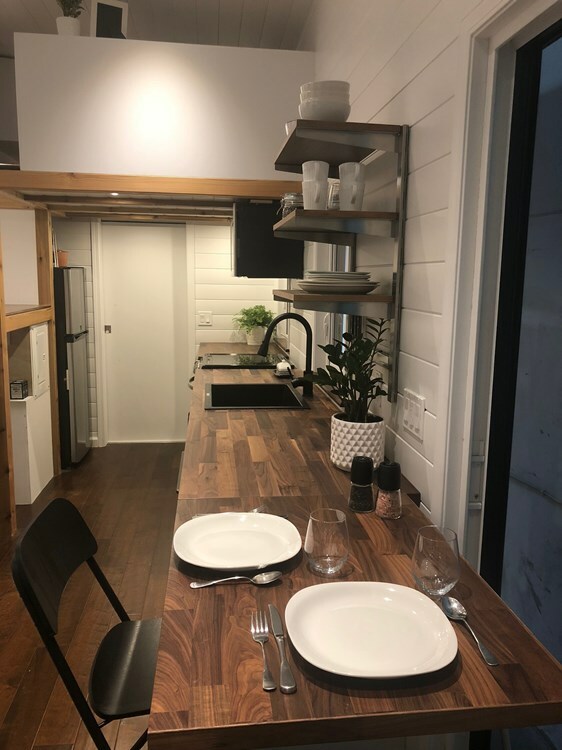 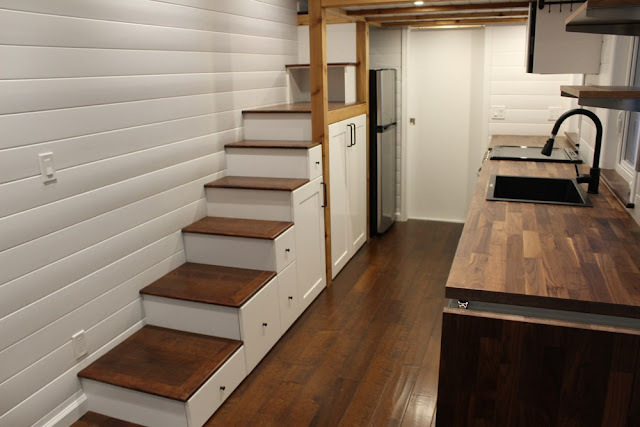 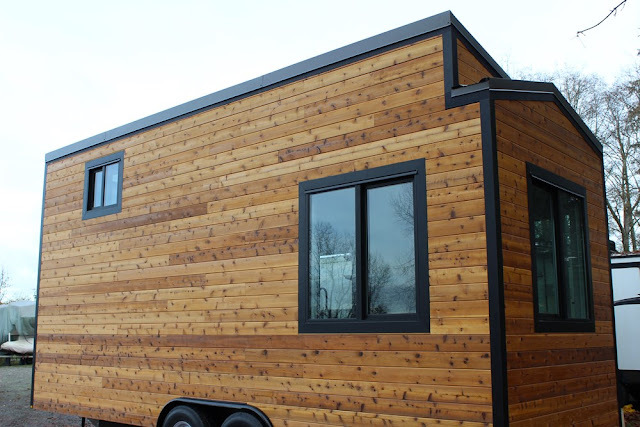 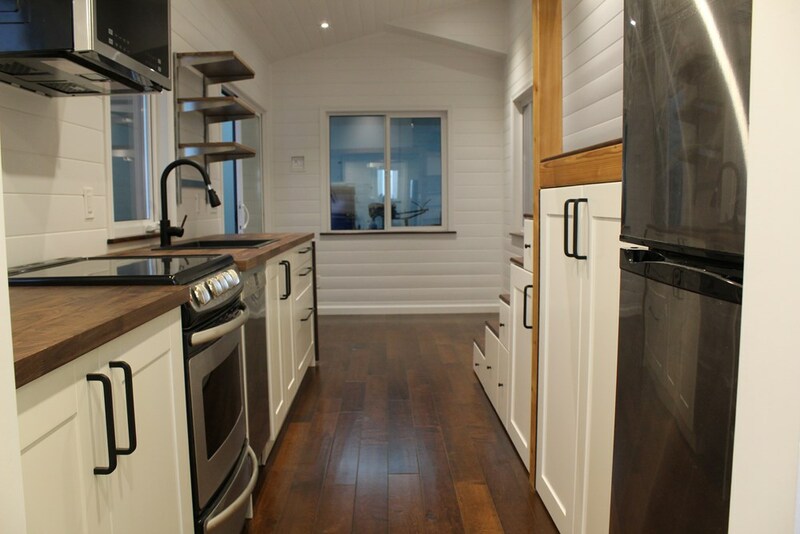 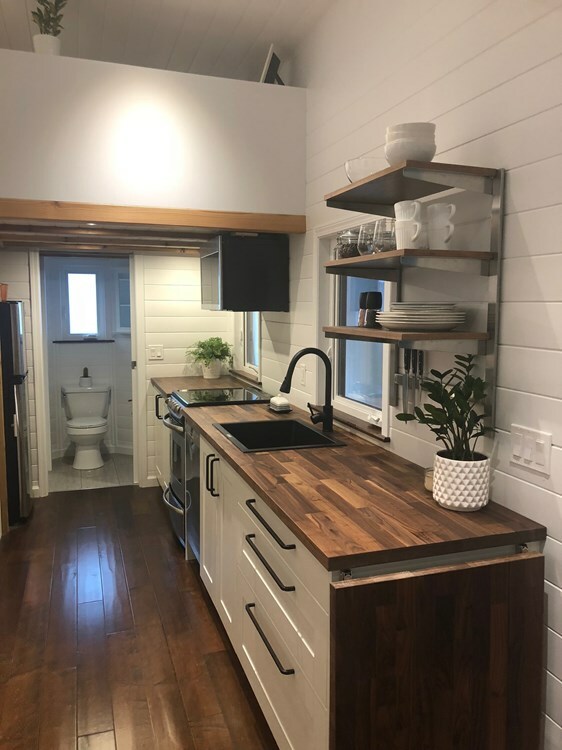 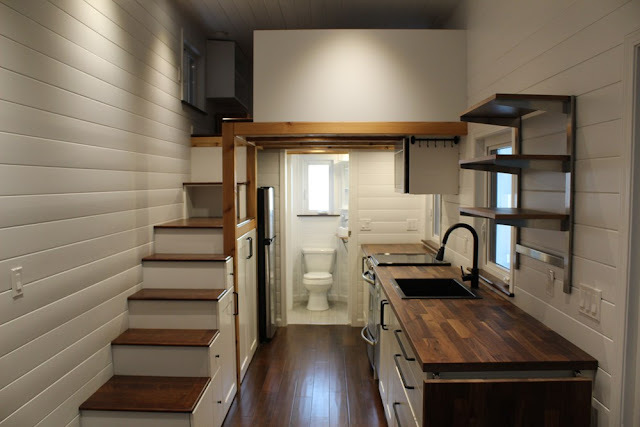 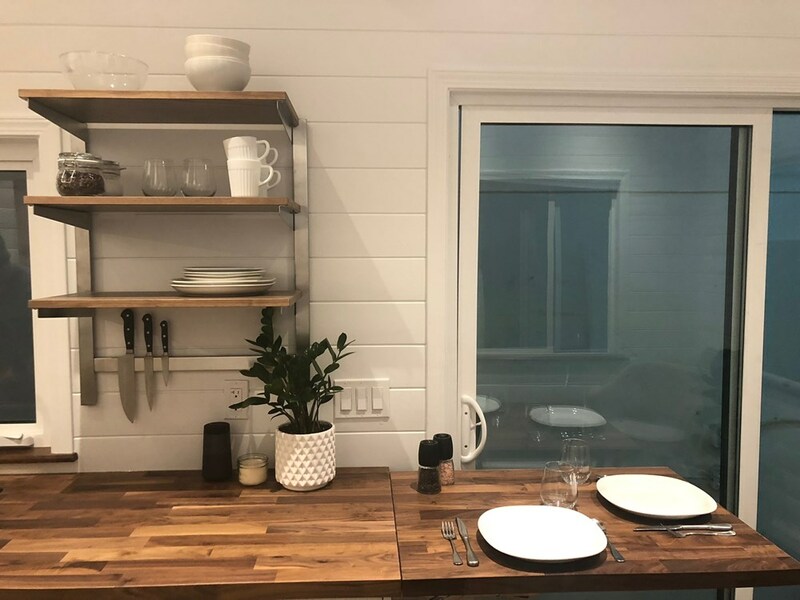 A modern cabin-style tiny house, built by Freestyle Spaces in Vancouver, British Columbia. 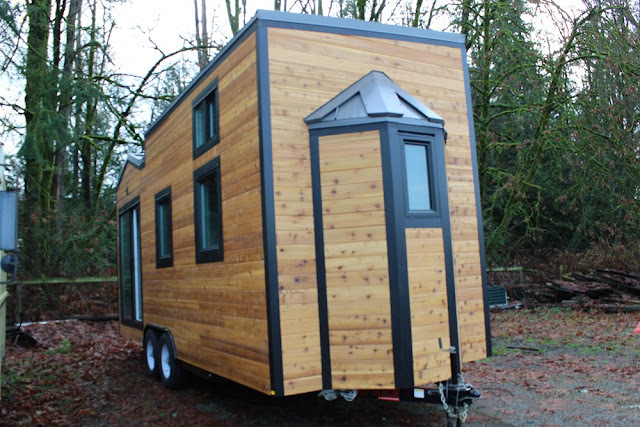 The is currently available for sale and is move-in ready! Inside is a bright, open space that comes with all kinds of great features! 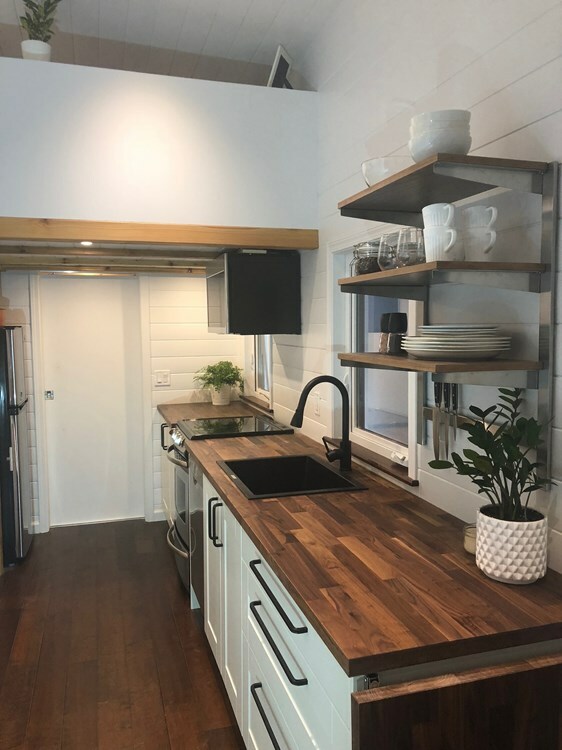 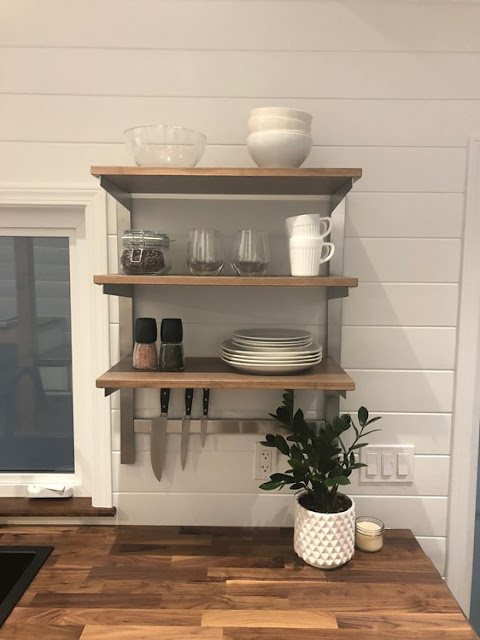 The home’s full kitchen comes equipped with an electric oven and cooktop, a microwave, a refrigerator, a dishwasher, and even a washer/dryer combination. There’s also beautiful walnut veneer countertops and a black composite sink. 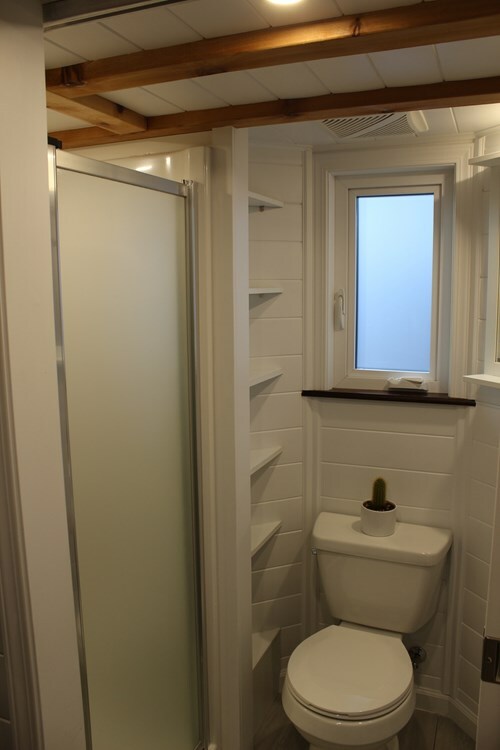 The bathroom features a standard flush toilet in addition to a shower, sink, and mirror. 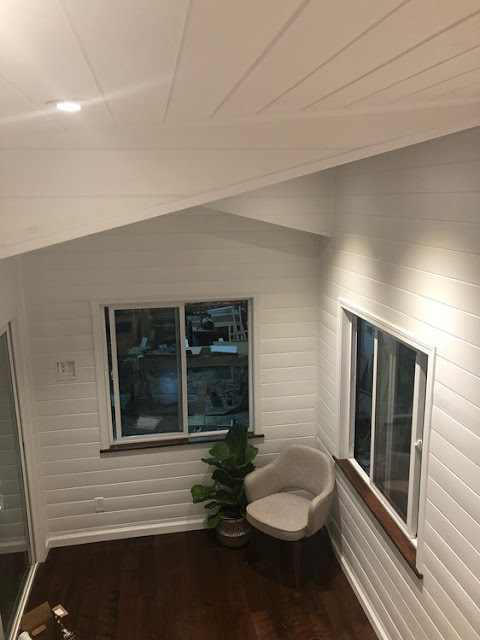 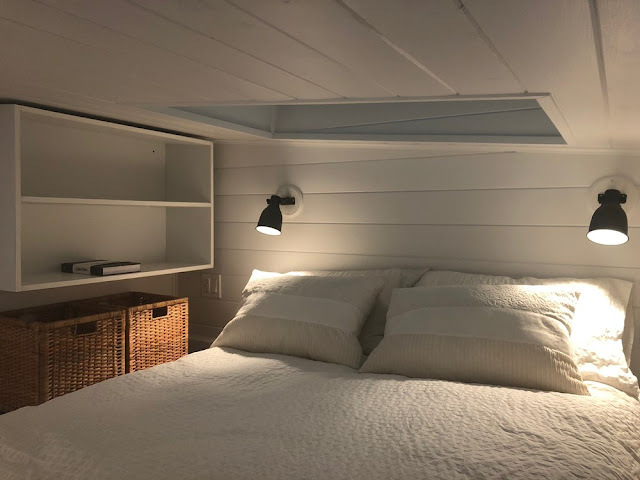 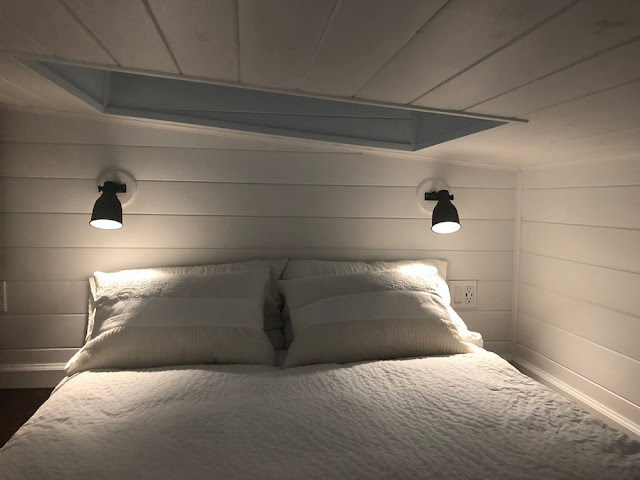 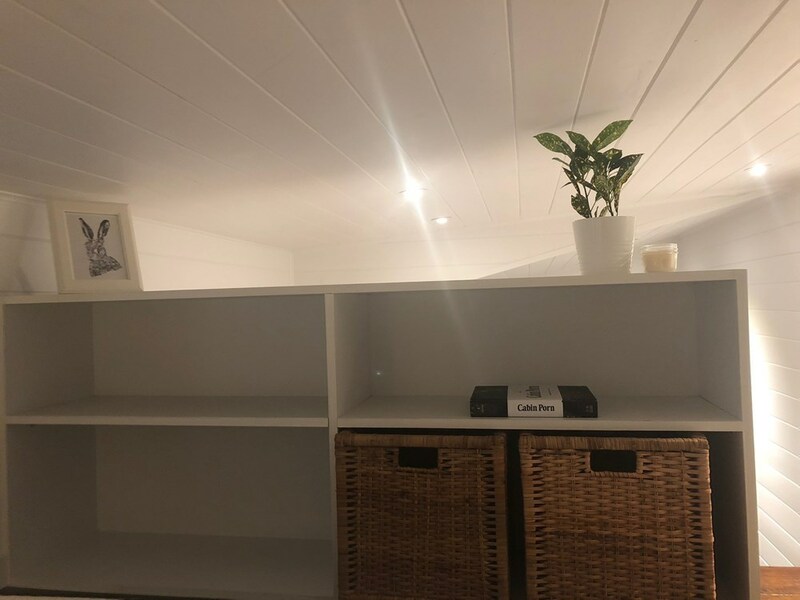 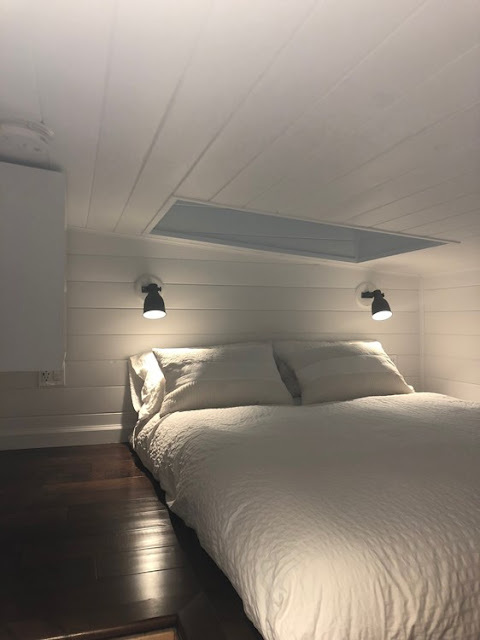 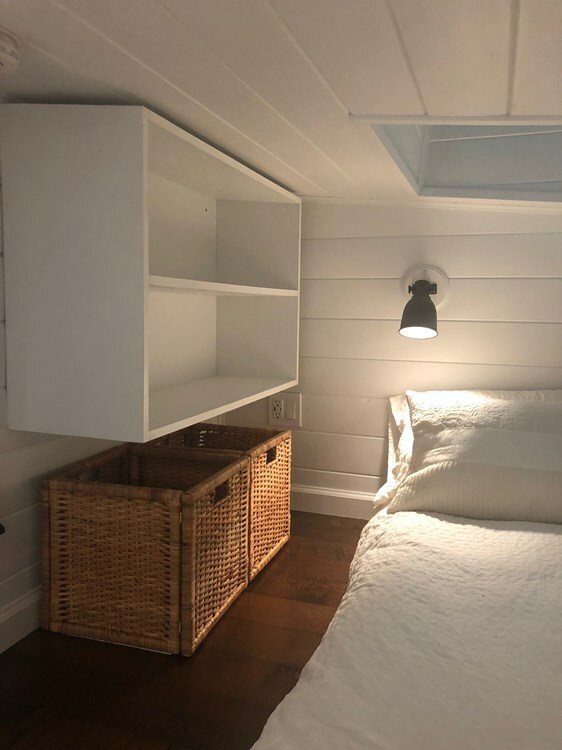 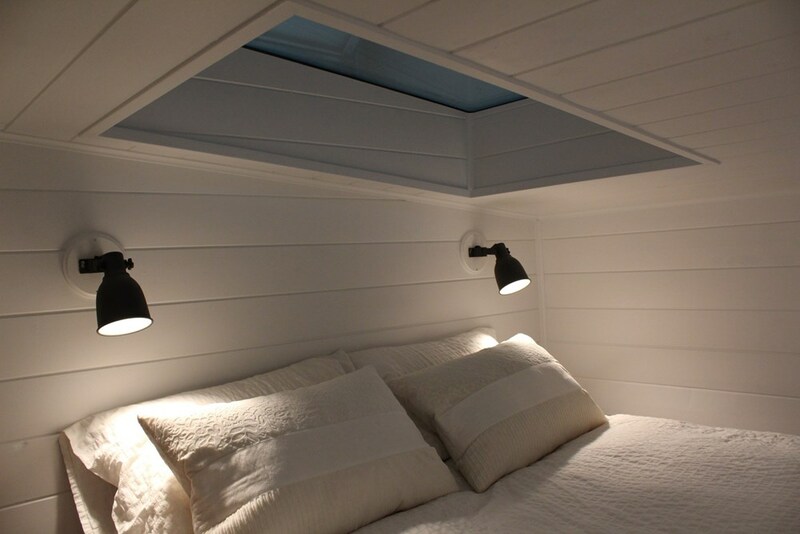 A loft bedroom, accessible by stairs, is also provided and includes a skylight for night time star gazing!